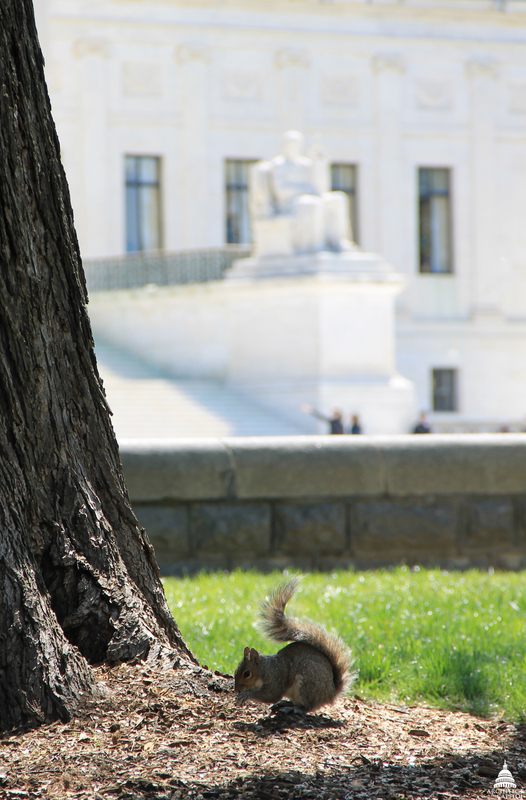 When walking across the Capitol Grounds there is one critter that can consistently be seen out and about – the squirrel. 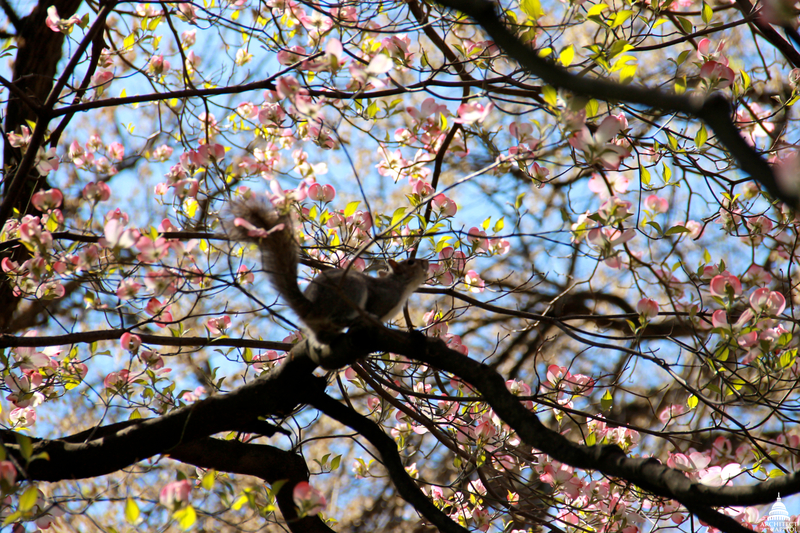 When did squirrels first come to Washington, D.C. and how did they end up here? Archivist Andria Leo took a look through AOC's historical records to investigate the history of the squirrel at the Capitol. 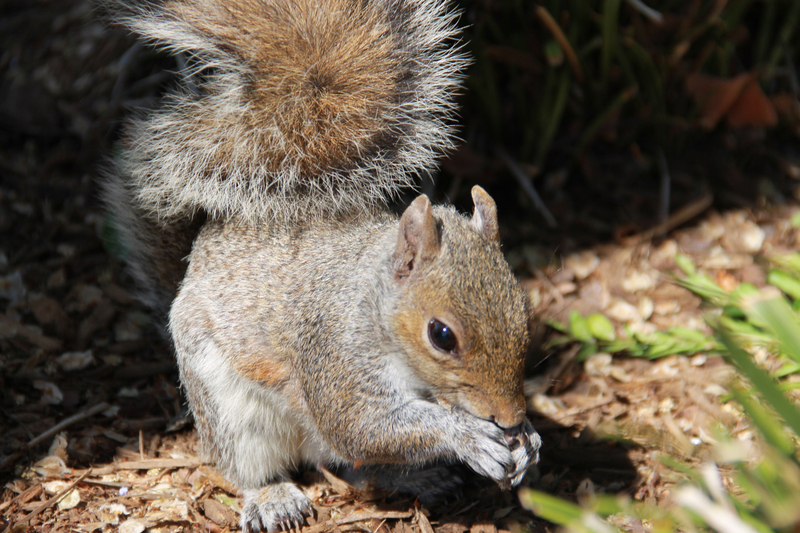 The Architect of the Capitol (AOC) was among the first to bring squirrels into Washington, D.C. and to place the "interesting little animals" on the Capitol Grounds. Architect of the Capitol Elliott Woods played a major role in this endeavor. Squirrels on the Capitol Grounds with the Library of Congress Thomas Jefferson Building (left) and U.S. Supreme Court Building (right) in the background. Shelter boxes were in fact provided, and set around the Capitol Grounds. The AOC's Capitol Shops manufactured these shelters. Shelters continued to be manufactured and set into place through the 1950's. From the early 1900's through the 1940s, many people wrote in to Woods and later to Architect of the Capitol David Lynn offering squirrels, requesting squirrels from the Capitol Grounds and requesting that food and shelter be placed on the grounds for the animals. In the mid-1940's, a negative view of the squirrels was becoming more apparent. Being termed "varmints" in some newspaper articles, they were also credited with causing damage to some of the trees on the Grounds. By 1963, Landscape Architect Paul Pincus was not in favor of placing squirrel shelter boxes on the Grounds, because "Squirrels always manage on their own to find adequate shelter for the winter. The man made winter shelters are not always used by the squirrels. These are often abandoned due to leaking roofs and wood rot." 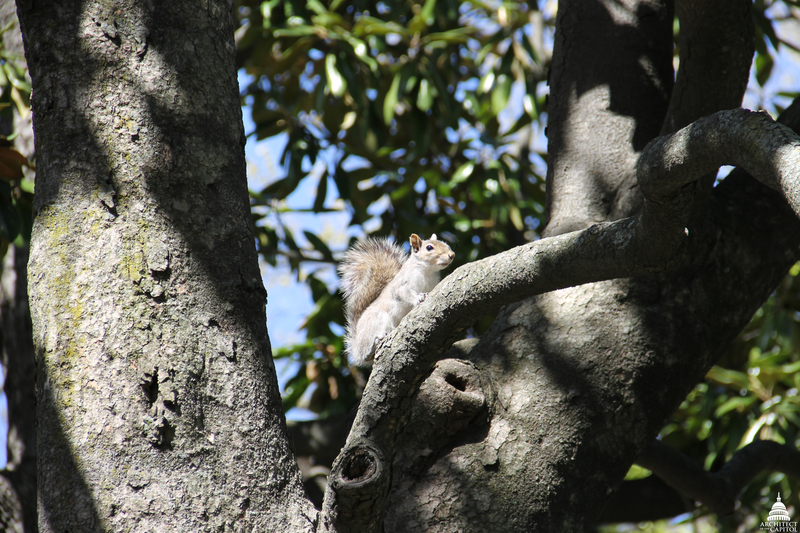 Squirrels continue to roam the Capitol Grounds today, providing amusement to visitors and residents alike.